1. Oakland city officials have apologized to A’s co-owner Lew Wolff and admitted that they were wrong when they accused him earlier this week of not forwarding a letter to them that requested a lease extension at the Coliseum, the Trib reports. On Monday, City Administrator Deanna Santana said at a public meeting that Wolff had sent the letter to the media but not to the city or county and accused Wolff of not negotiating in good faith; Mayor Jean Quan then backed up Santana’s allegation. But then yesterday, Santana admitted to making a mistake, and acknowledged that Wolff had sent the letter to her office and to the mayor’s office. 2. California Attorney General Kamala Harris has reopened a criminal probe of state parks officials, concerning the department’s accounting scandal, the LA Times reports. It appeared that Harris’ office and that of the Sacramento District Attorney were not going to bring criminal charges in the case of parks officials hiding millions of dollars in an obscure fund. 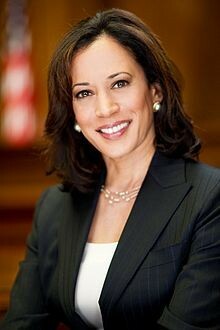 But yesterday, Harris’ office confirmed that it had restarted the criminal investigation. 3. Governor Jerry Brown’s approval rating has jumped to 57 percent, with California voters giving him his highest marks since he took office two years ago, according to a new Field Poll, the Chron and Merc report. Last fall, Brown’s approval rating was 46 percent. A strong majority of Californians — 55 percent — also approves of the fact that Democrats control both houses of the legislature with super-majorities. 4. Bay Area police departments have embarked on a hiring spree after years of cutbacks during the Great Recession, the CoCo Times reports. Area police departments plan to hire a total of 480 new officers this year, after slashing 981 jobs during the past half-decade. 5. The Oakland City Council voted 6-2 to pay the CHP $162,000 to have ten of its officers patrol city streets during the next two months, the Trib reports. The CHP had been helping patrol Oakland for free but then demanded payment after the city agreed to pay the Sheriff’s Office for its help. The two deals are intended to be stopgap measures until OPD can graduate cadets from its police academies. 6. And the Chronicle has more info today on the case of an innocent man who spent six years in prison as a result of shoddy investigative work by the Oakland Police Department.